History – JIMECA. The Hook Lift Makers. Founded in 1985, JIMECA began its activity with the work of the 7 founding partners as the only employees in a facility only 800m2. 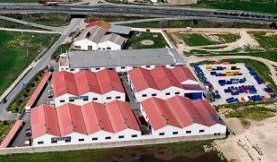 At present, after having manufactured more than 23.000 units of multi-hooklift equipment, the Company has 200 workers distributed in various departments in an 86.000m2 area, of which 55.000 m2 are intended for industrial use and the rest form wide streets and fully urbanized accesses. Our team is the most important asset in the Company. JIMECA is formed by personnel who have extensive experience, are well trained, motivated and cared for, which makes our Company a reference in the sector. This is why the safety and hygiene conditions in our plant are carefully and continuously revised. 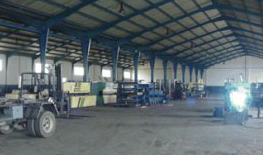 Recently we have executed an important investment plan that enables our development, continuously expanding the manufacturing space of our manufactures, incorporating the latest manufacturing and process technologies, focusing on reducing costs and, of course, increasing the quality and safety in both the installations and the products. Our dynamism has led us to develop a thriving industry based on the realization of our own designs, under the patent published in the Industrial Property Bulletin, in container loading and unloading hooklift devices for industrial vehicles in which almost all of our work is focused. These designs are made with top quality materials and they integrate the latest technological advances; their maintenance is minimal thanks to the fact that there are no parts that support a great mobility and that, consequently, suffer great wear. JIMECA’s products offer convenient, safe and easy-to-use logistic solutions that can be used in the most diverse areas: urban waste management, clean points and recycling containers, forest waste, agricultural work, scrap yard, construction… In any of these environments we will be able to observe the versatility of multi-hooklift equipment and their different bodies and containers, ensuring their robustness, reliability and safety at all times. JIMECA manufactures 95% of the industrial multi-hooklift equipment of Andalusia and 70% of Spain, reaching the international market in countries like France, Ireland, Holland, England, Brazil, Chile, Colombia, Germany, Portugal, etc. Our loading and unloading hooklift device for interchangeable hook containers JIMECA is manufactured in any desired size and capacity, fitting it to a multitude of truck models according to the desired functions.